Manufacturing builds America. For decades, the nation’s top leaders have recognized the power of a strong manufacturing sector on our economy and our communities. The Colorado Chamber has a long history in the Colorado manufacturing community. 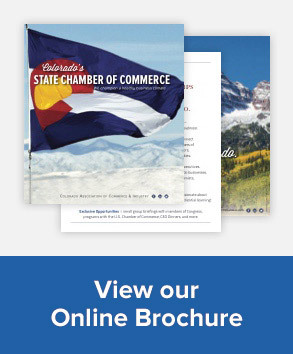 In 1965, The Colorado Chamber was formed by the merger of the then State Chamber of Commerce and the State Manufacturer’s Association. Since then, The Colorado Chamber has remained the Colorado affiliate for the National Association of Manufacturers and is proud to count many of Colorado’s prominent manufacturers among its members. Colorado Needs a Strong Manufacturing Industry! Video courtesy of the National Association of Manufacturers.